Wine Barrel Wall Plaque (P/N 574A). This plaque is made of resin and is hand-painted to resemble carved wood. It comes ready to hang indoors or outdoors and will be a treasured gift for years! 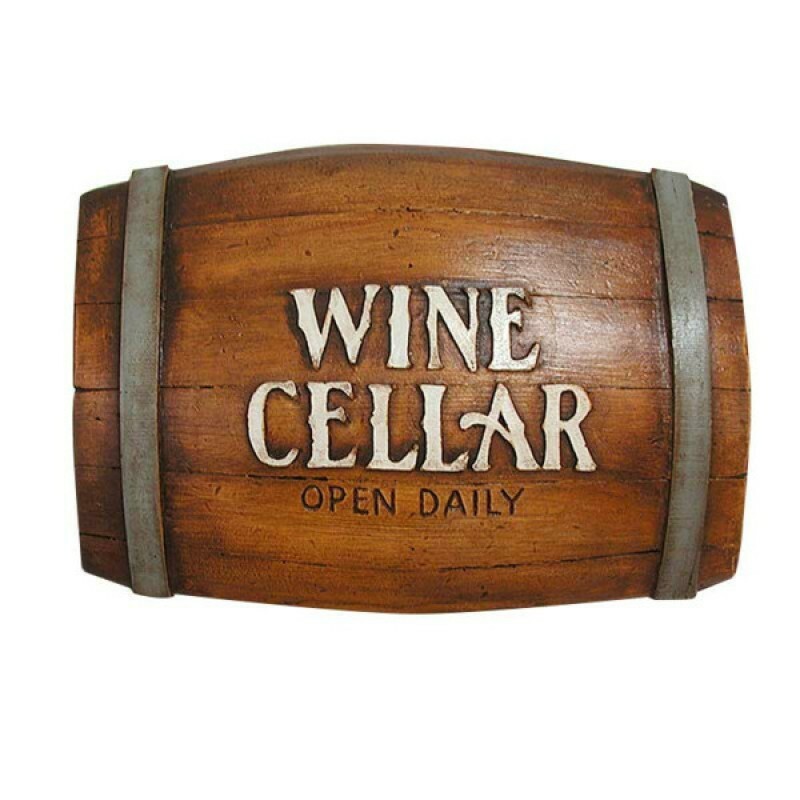 Show off your love of the wine lifestyle with this Old World plaque, a reproduction of an original creation by award-winning artist and sculptor Al Pisano.